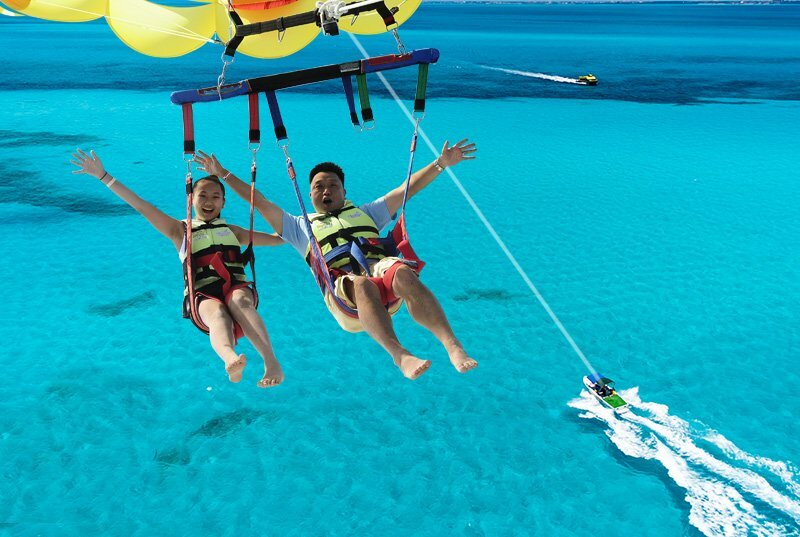 Ride a powerful Jet Ski over Cancun cristaline waters. 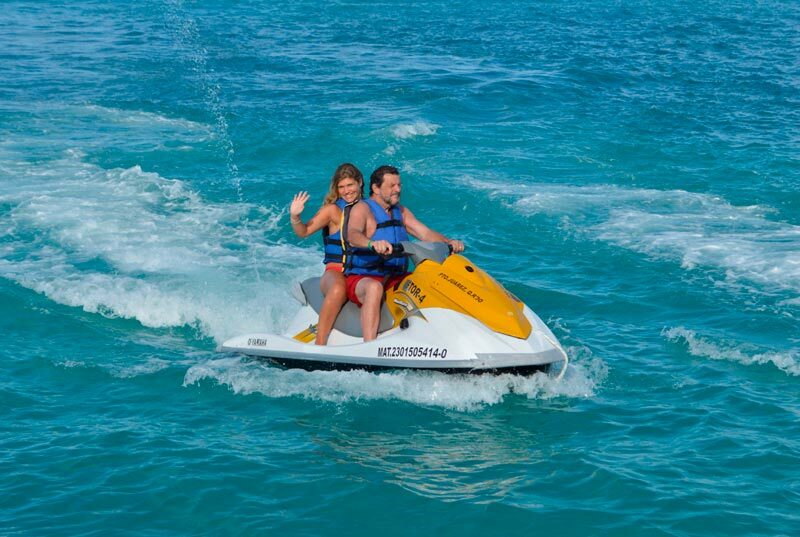 Speed up your adrenaline while accelerating your engine during your wave runner 30 minutes or 1 hour rental on Cancun's seaside (not lagoon). 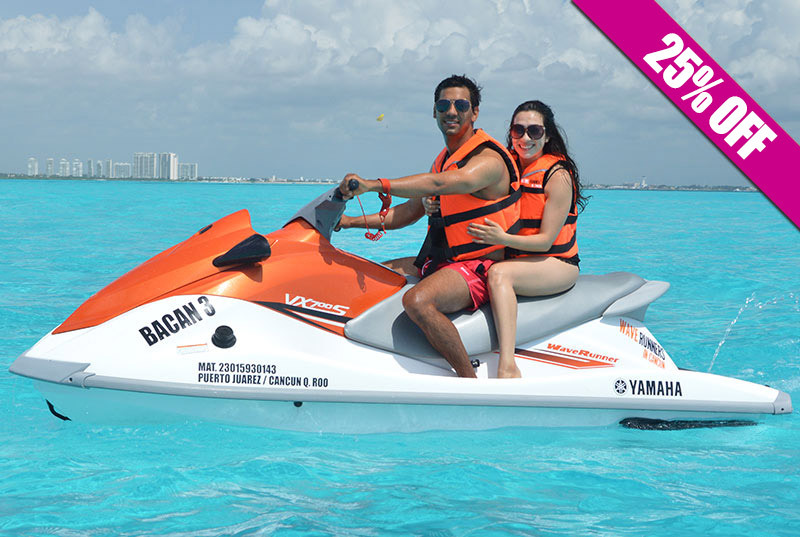 Our price is valid for two people on your Cancun Jet Ski Rental, we guarantee you won't find a better deal, book now! 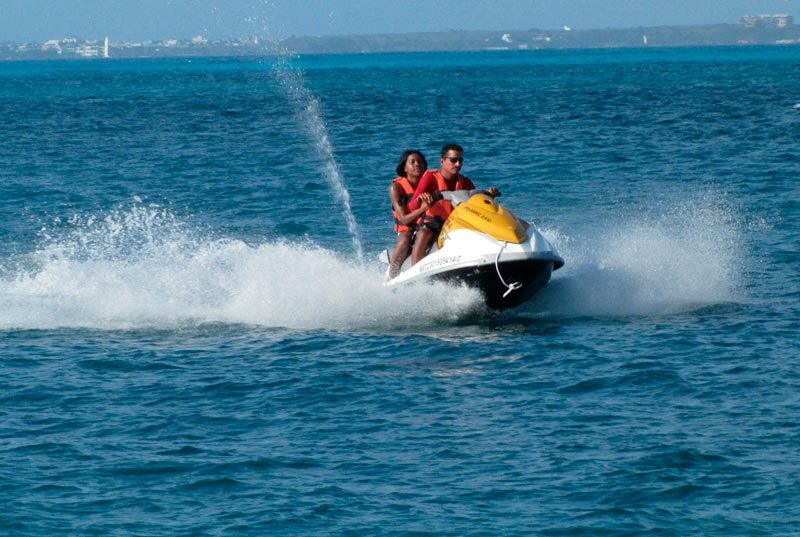 Drive a powerful Yamaha jet ski in the blue waters of Cancun. 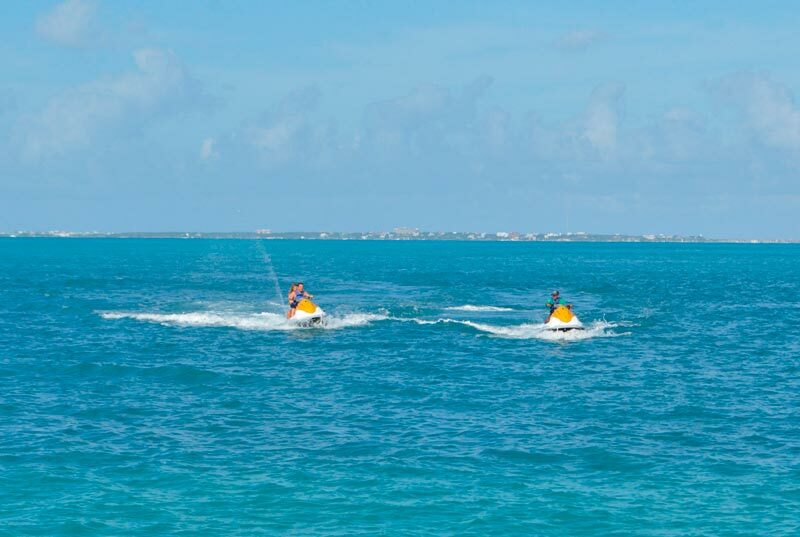 Speed up your fun riding a wave runner during 30 minutes or 1 hour on Caribean Sea's crystal clear waters. Each wave runner have capacity for 2 people and you're allowed to change driving turns as many times as you want (same price for 1 or 2 people). 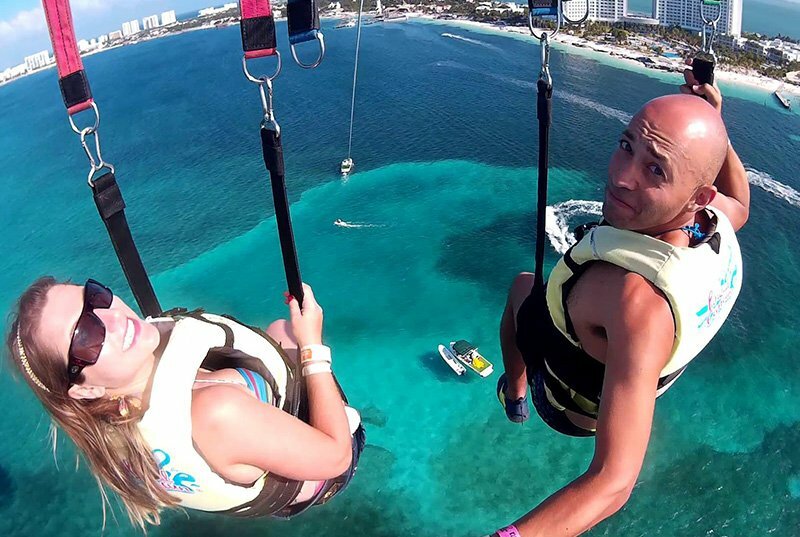 Free Transportation from any hotel in Cancun (hotel zone or downtown). 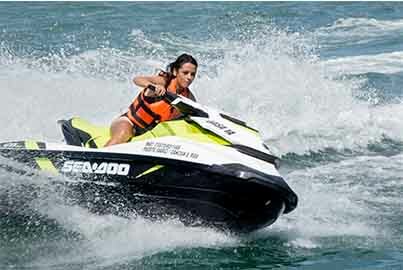 Rent your Waverunner right now! 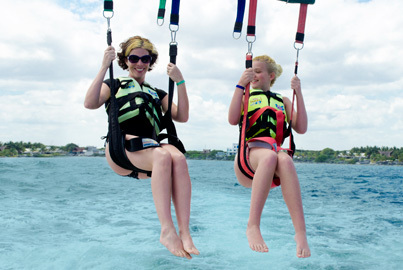 Free roundtrip transportation Hotel-Marina- Hotel (applies from any hotel in Cancun). 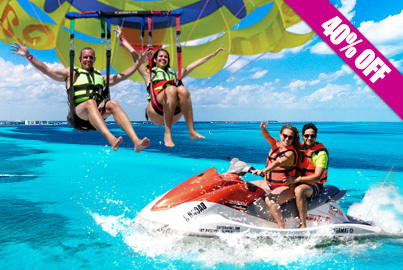 Rent of wave runner for 30 minutes (USD $60.00) or 1 hour (USD $110.00), your choice. Assistance patrol that will take care of you. Activity take place in the seaside, not in the lagoon! 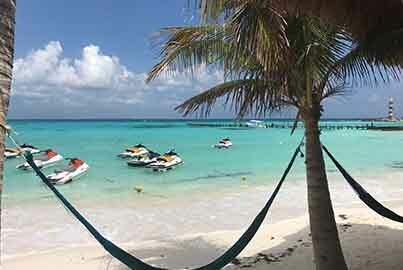 Ground Transportation service from hotels outside Cancun (Playa del Carmen and Riviera Maya may have an extra cost). Please show on time, there are only 5 minutes tolerance on transportation. Only +16 years old are allowed to drive. Using life vest during your waverunner rental is mandatory. 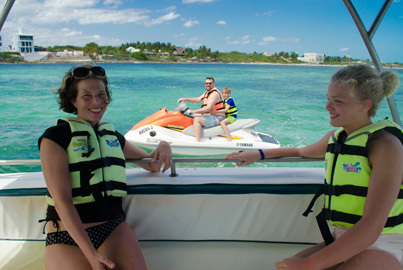 Speed across Cancun gorgeous sea on our exclusive waverunner guided tour! 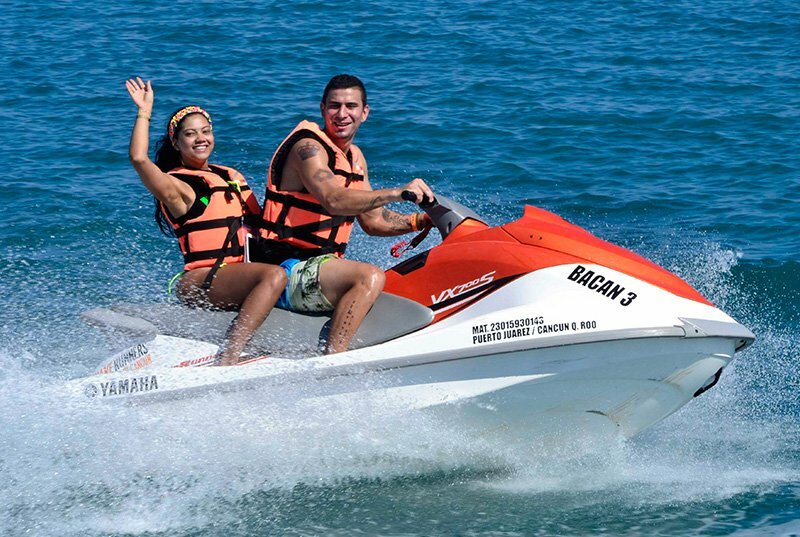 Live unforgettable moments while riding waves, making turns and racing across Cancun Bay. Become one with nature going through the beautiful lagoon canals and admire the different fauna that lives there. Get to know our secret spot, a private mini beach with thousands of shells, ideal for pictures and to share a special moment with your companion. No experience required. Safety briefing from our friendly english speaking guide and hotel transporation is included. Discover why this tour is one of our customer's favorites, book now! 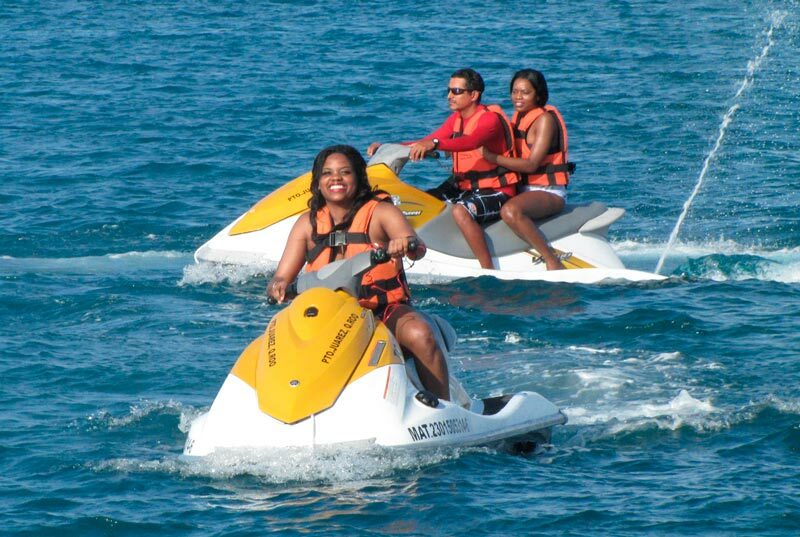 1.5 hours waverunner tour (seaside and lagoon canals). Each wave runner have capacity for 2 people and you're allowed to change driving turns as many times as you want (same price for 1 or 2 people). Stop in our secret spot. Please show on time, there are only 5 minutes tolerance on transportation. Waiver must be signed. Only +16 years old are allowed to drive. Using life vest during your waverunner rental is mandatory.